A great pairing of Bay Area hip hop legends Souls Of Mischief and producer-composer Adrian Younge – akin to the cinematic hip hop funk productions by Younge for Ghostface Killah and others – but it's also the tightest, most focused work we've heard from the Souls in a while! 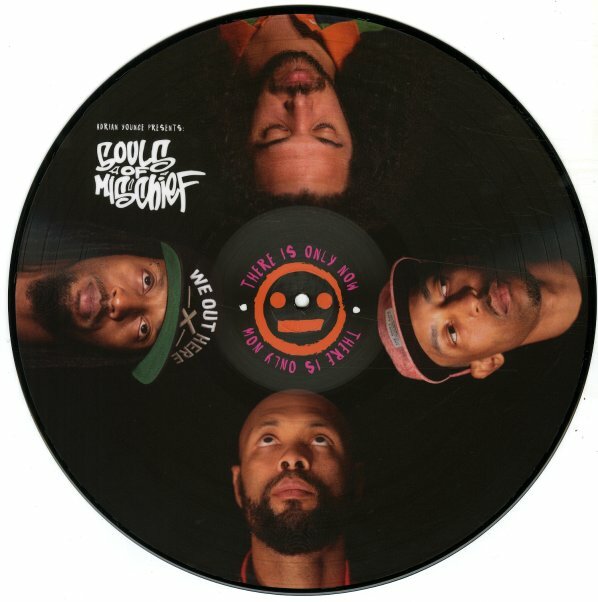 It finds the right balance of delivering on the character-driven song cycle/concept album front – held together by interludes featuring fellow blueprint era hip hop veteran Ali Shaheed Muhammed as a radio DJ whose brief news readings move the story along – but concept aside, it's a timeless, funky jazz-fueled gem that'll stand the test of time. Includes "Time Stopped", "Womack's Lament" with Busta Rhymes, "Panic Struck", "Another Part Of You" feat William Hart of The Delfonics, "All You Got Is Your Word", "There Is Only Now" with Snoop Dogg, "Meeting Of The Minds", "Miriam Got A Mickey", "Stone Cold" feat Scarub, "The Synopsis" plus intro, outro and interludes with Ali Shaheed Muhammed, "Narrow Escape", "Finally Back" and "The Last Act". © 1996-2019, Dusty Groove, Inc.